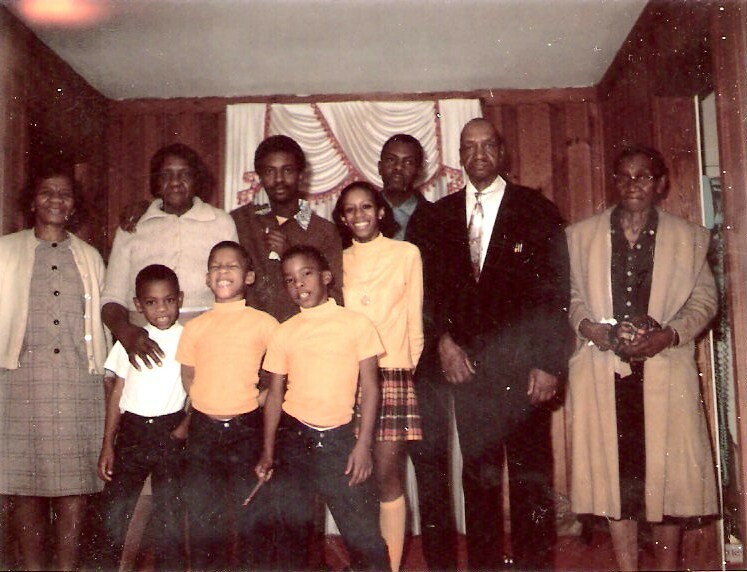 This is a photo of my MIDDLEBROOKS family taken one Christmas in the mid to late 1960′s. Whenever I look at this picture it makes me smile and warms my heart. It makes me long for a FAMILY REUNION. When I was a little girl, we would go down to my mother’s hometown of Woodbury, GA in Meriwether County for Homecoming Sunday. Other than the vague memories of these events, I don’t recall attending a family reunion. One of my greatest desires is to have a TALIAFERRO family reunion. I’m talking about an “official” family reunion- meet and greet, cookout at the park, tee shirts, family worship-a weekend of family fun and fellowship. My brother and cousins tell me there has never been a TALIAFERRO Family Reunion. The idea has been bounced around, but no one has actually taken the initiative and put one together. Maybe that someone will be me. This photo was in a scrapbook passed on to me by my cousin earlier this year. 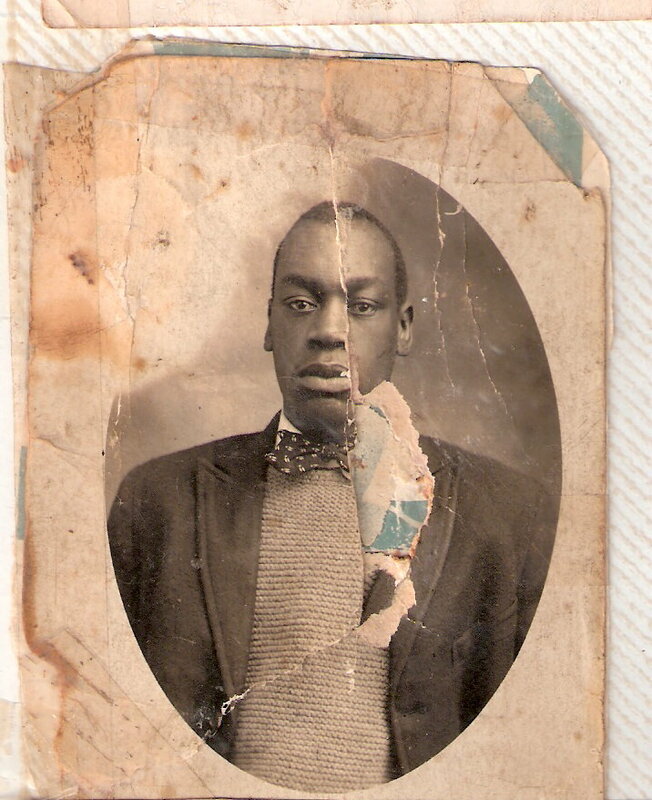 He is another unknown relative from my maternal Middlebrooks line of Meriwether County, GA. Or, maybe he isn’t- Unknown. Several relatives, including myself, believe that he may be Gordon R. Middlebrooks born about September 1897 in Woodbury, Meriwether, GA to Sudie Parks and Alexander Middlebrooks. Gordon died in Atlanta, Fulton, GA 31 July 1948. I have only found evidence of Gordon in two documents; his 12 September 1918, WW I Draft Registration Card, and his 1948 GA death certificate. Seems strange; he indicated on his draft registration card that his residence was Woodbury, GA; he was a farmer and was working for Alex Middlebrooks; and he listed Sudie Middlebrooks as his nearest relative. I have not found a Gordon Middlebrooks listed on any census with his parents Alex and Sudie. However, I do find a “Brooks” L. Middlebrooks, also born about September 1897 with parents Alex and Sudie in the 1900, 1910, and 1920 census. Recently, after learning of Gordon from my cousin, it occurred to me that Brooks and Gordon might very well be the same person!! Other than census records, I cannot find any documents for a Brooks Middlebrooks. Seems strange since he is so prominent in the census records. I believe that “Brooks” was probably a nickname for “Gordon”. I’m still working on this one, including getting a copy of Gordon’s 1948 death certificate to confirm his parents were Alex and Sudie. 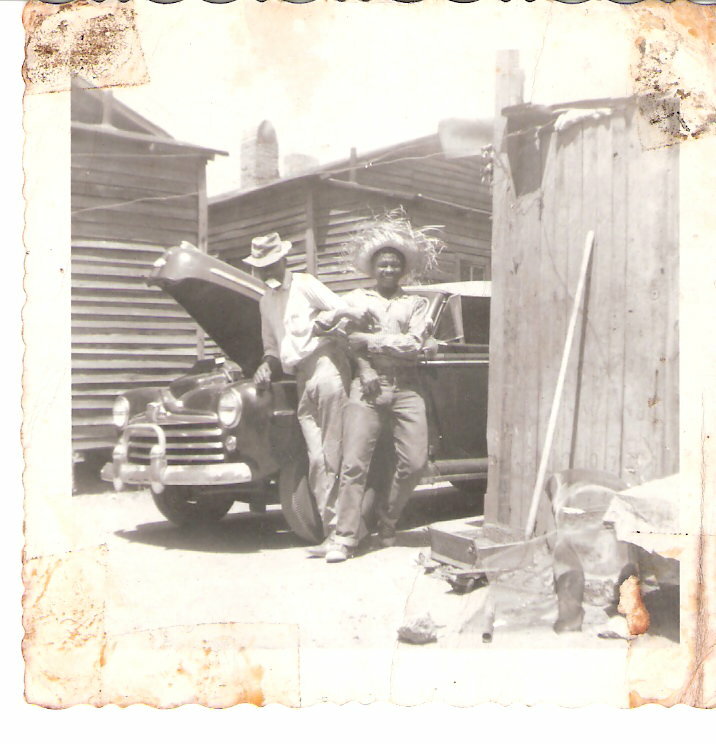 The older gentleman on the left in this photo is my maternal great uncle William Middlebrooks, born circa September 1894 in Woodbury, Meriwether County, GA. Uncle Bill was a real character; suave and debonair- a gambler, a fighter, a drinker. Uncle Bill didn’t take NO mess. As the story goes, Uncle Bill had to flee his home in Woodbury under the “cloak of darkness”. Family tradition says he was in an “altercation” with a white man over a pair of shoes, and was smuggled out of town with the sheriff “hot on his trail”. He was first taken to Griffin, GA, but eventually made his way to Chicago where he changed his name to Bill Sutton. He later returned to Georgia where he died in August 1977.